A cast stone column is a concrete building stone that is made to look like natural cut stone. It is one of the oldest known and most aesthetically pleasing forms of concrete today. Mary and I think it is a great choice for the sophisticated porch lover! Making stone columns is very labor-intensive. However, it is a very versatile building material that wears better, has greater consistency in color and costs less than cut stone. To get it right, a proper mixture of white and/or grey cements, manufactured or natural sands, carefully selected crusher stone or well graded natural gravel and mineral coloring pigments to achieve the desired appearance while maintaining durable physical properties. 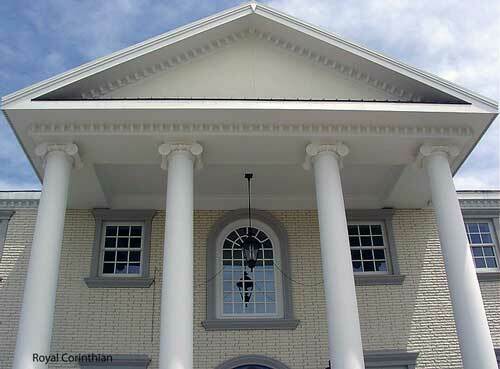 Did You Know These Points About Cast Stone Columns? Available colors: White, tan and buff are usually standard colors. Custom colors and finishes are usually available also depending on the manufacturer. Painting cast stone: Cast stone can be painted or stained; acid staining is the most common method. Sealing: Sealing is not necessary but often done to protect its original appearance. It will have a natural patina appearance over time if it is not sealed. Installation Cost: Many different variables are used to calculate the installation cost. Transportation and labor costs also vary considerably by geographical region. Special thanks to Royal Corinthian for providing the following photos of spun-cast stone. A great alternative to cast stone is spun cast stone like those by Royal Corinthian, a much lighter and longer lasting product. 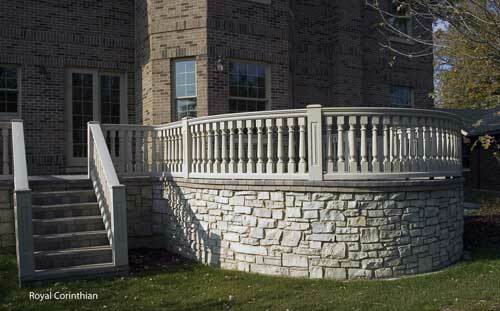 Cast stone is a solid product which is usually water-based. Since it is solid and cast with water the result is a very heavy product. Spun-cast on the other hand is resin-based to help prevent water penetration resulting in a hollow stone for a much a lighter product. Used primarily on the exteriors of homes, cast stone may be also used as part of concrete masonry veneer or an accent on homes covered with synthetic stucco or other materials. You can also use it as caps on landscaping walls and even as stair treads. 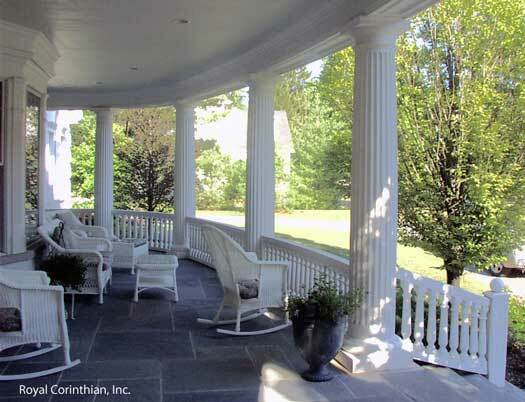 Looking for porch column options? 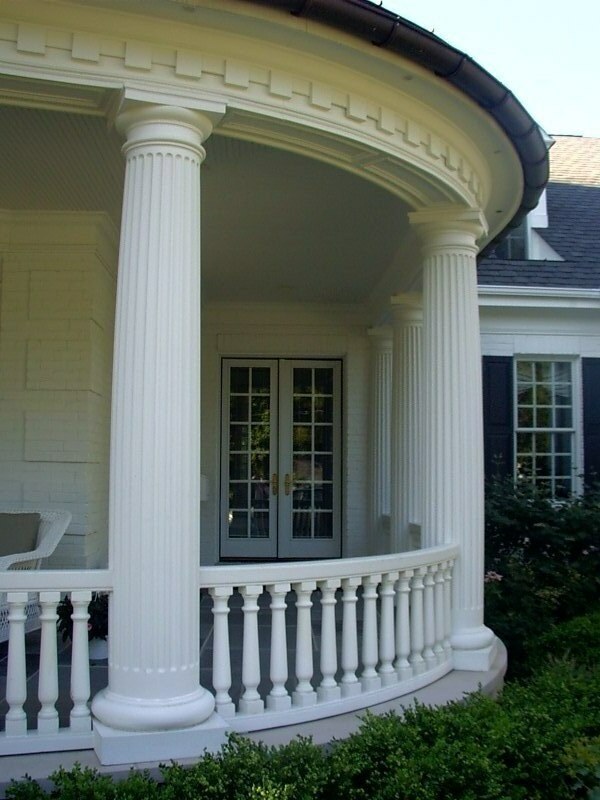 Be sure to see our porch columns section for more design ideas like structural vinyl columns or fiberglass columns. 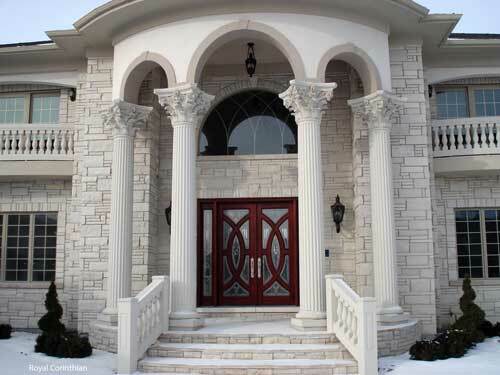 Royal Corinthian is a family owned manufacturing company that has been manufacturing fiberglass and synthetic stone architectural columns and balustrades for 20 years. 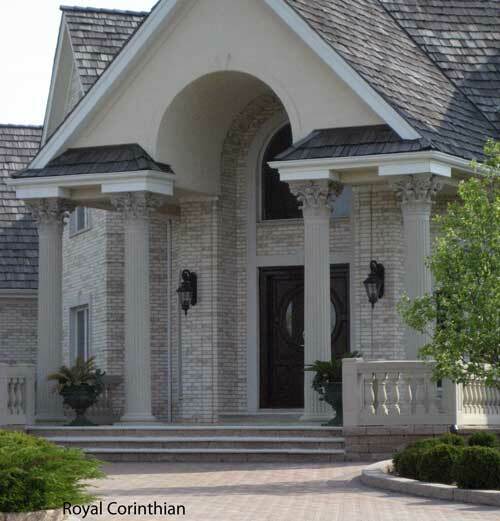 Royal Corinthian's premium line, RoyalStone, is a manufactured stone column and balustrade system which comes in 6 standard colors and 3 textures. 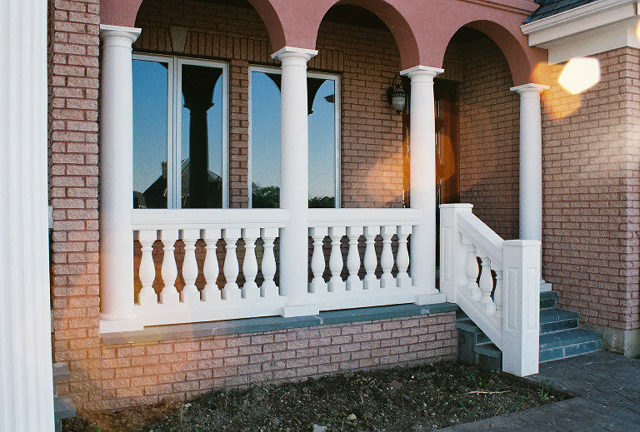 Round tapered, round fluted tapered, round non-tapered, square, and rope columns in both RoyalCast and RoyalStone and hundreds of balustrade styles and sizes are also available.